Every bookworm has their favorite genre, and one University of Wisconsin junior gets to live out hers. 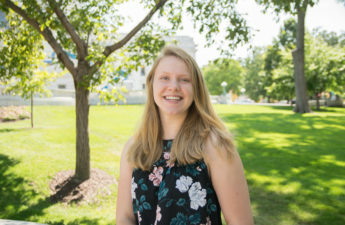 Materials science and engineering student Amy Lossen works in the two-years-young lab of UW engineer Dr. Adrien Couet, who is developing methods for testing materials most sustainable for constructing a new generation of cost-efficient, long-lasting nuclear reactors. Today’s generation of nuclear reactors — which produce over 11 percent of the world’s electricity, according to the World Nuclear Association — cost around $10 billion to build, Couet said. But of the four reactors being built in the U.S. today, Couet said two have already been cancelled and the other two are past schedule with overrun costs. One type of reactor the Couet Lab focuses on, light water reactors, are mainly made up of steel, nickel alloy and zirconium alloy, he said. During the energy-generating process, Lossen said, materials inside the reactor undergo extreme environments, such as high temperature, pressure, exposure to radiation and corrosion. 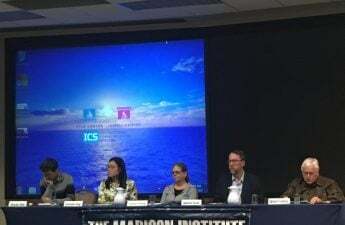 All these stresses overtime, however, leads to degradation of the reactor, she said, which limits its safety and operational lifetime — the biggest challenge in redesigning reactors. That’s where the graduate and undergraduate students in Couet’s lab come in. 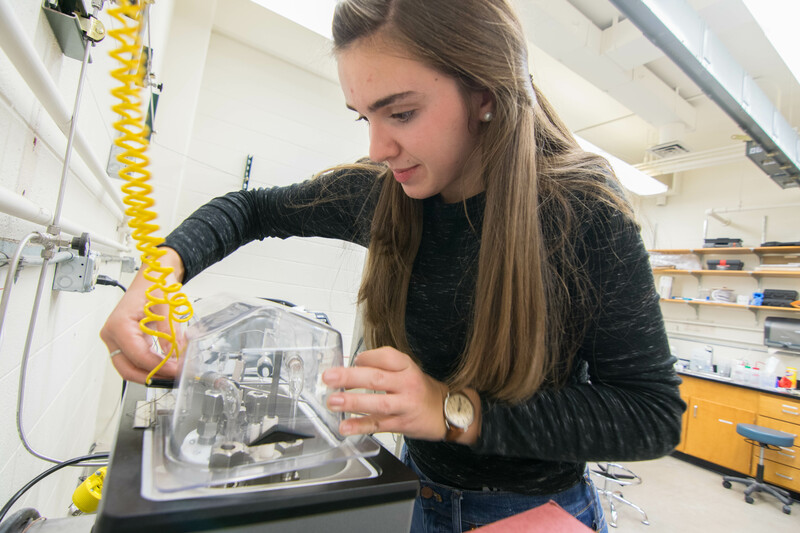 With just four months of lab experience under her belt, Lossen is completing a machine, called a hydrogen permeation cell, to simulate one reactor stress called hydrogen corrosion. Lossen assembles her hydrogen permeation cell. 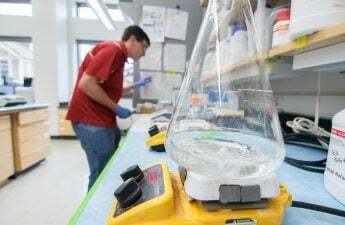 “Really all it is just a fancy way a saying that I’m gonna take hydrogen and push it through a material and measure how fast that goes,” Lossen said. Most of us are familiar with the concrete facade of nuclear reactors, but nestled inside is a reactor vessel where all the magic happens. Inside this reactor vessel are nuclear rods, made up of uranium fuel, Lossen said. The nuclear rods are submerged in water, but cladding surrounds the rods as a barrier to separate the uranium fuel from the water. Through a process called fission, atoms of uranium split and release heat, which turns the surrounding water into steam, she said. This steam is captured and sent through pipes to spin a turbine, which generates the electricity we use. But, the materials that currently make up the cladding and steam pipes—zirconium alloy and nickel alloy—react with the water and frees hydrogen, she said. Overtime, Lossen said, the loose hydrogen flows through the cladding and steam pipes, corroding the materials and making them more susceptible to cracking. Similar cracking happens when loose hydrogen corrodes the steam pipes, which would cause a shutdown of the entire reactor to replace the pipe, costing time and money, Lossen said. This means materials more resistant to hydrogen corrosion are needed for the new generation of reactors, which is what Lossen intends to test for once her hydrogen permeation cell is complete. Lossen will use the cell to push hydrogen through different materials, mainly nickel alloys. She will then be able to calculate the rate hydrogen moves through the sample, giving insight on its durability against corrosion, she said. 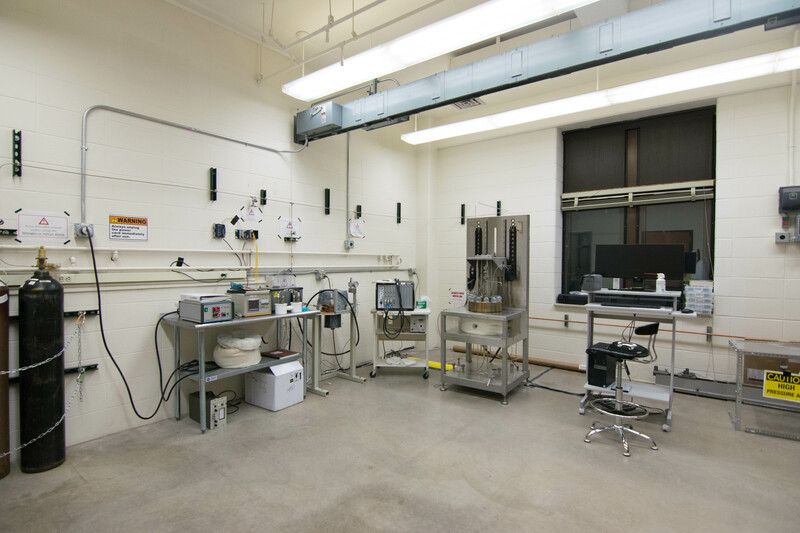 The goal is to install what Lossen calls a high temperature hydrogen permeation probe in an operating reactor. A material sample will be placed in the bushing, or tubing, connecting the hydrogen permeation cell’s two sides. Chemical reactions will push hydrogen through the sample. Despite working out kinks to make them even safer, Lossen believes nuclear reactors are one of the most reliable sources of renewable energy the world has to depend on. Hydroelectric power can disrupt ecosystems, such as the migratory patterns of salmon, Lossen said. Additionally, solar and wind power depend too much on location, requiring consistent sunny or windy days to be a sustainable alternatives to non-renewable sources of energy. Couet believes, however, there is still a lot of work to do before nuclear energy can compete with more established energy sources, such as natural gas. 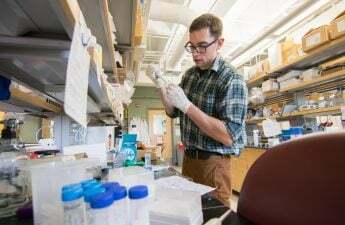 This includes continuing to develop inexpensive designs, Couet said, which can only continue with more young people interested in nuclear engineering, like Lossen, honing their expertise in the lab.